Screenshot from the movie Alien. Cryogenic sleep is usually the stuff of science fiction, most recently featured in the award winning blockbuster Interstellar. 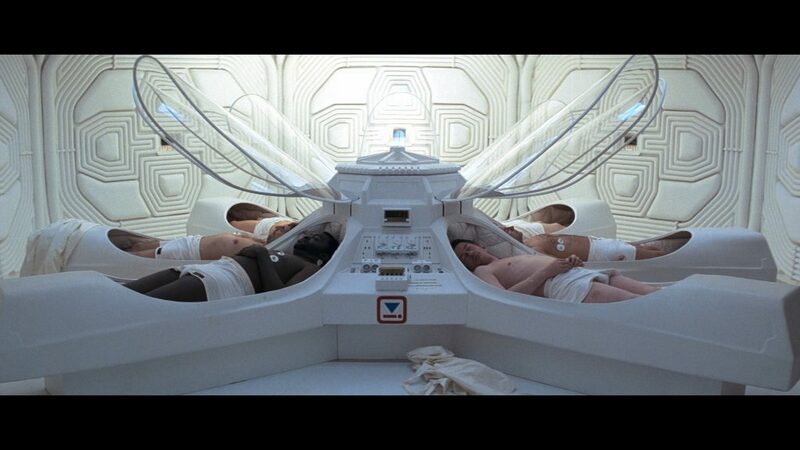 Of course, the most epic display of cryosleep can be found in Alien, in my humble opinion. Nevertheless, the theme is the same: cosmic voyagers are suspended in a sort of low metabolic state where vital functions are kept to a bear minimum by cooling the body, while not actually killing the person. It’s quite useful, especially when you consider interstellar travel involving years, decades or even perhaps centuries of traveling. It’s no wonder then that NASA is interested in actually turning this into a real-life application. Atlanta-based SpaceWorks Enterprises is currently working on a cryogenic application for NASA. 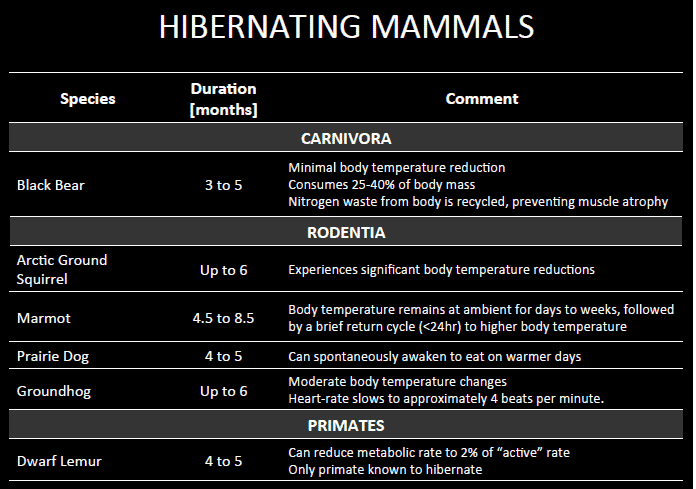 Their solution involves mimicking torpor or short-term hibernation as it’s also called. Some mammalian animals use it, so it’s not entirely implausible for this to work for humans as well. The plan is to build a torpor statis habitat inside a spaceship where the astronauts can hibernate for much of their voyage. Inside the pressurized chamber up to six crew members could co-exist in the low metabolic state simultaneously. 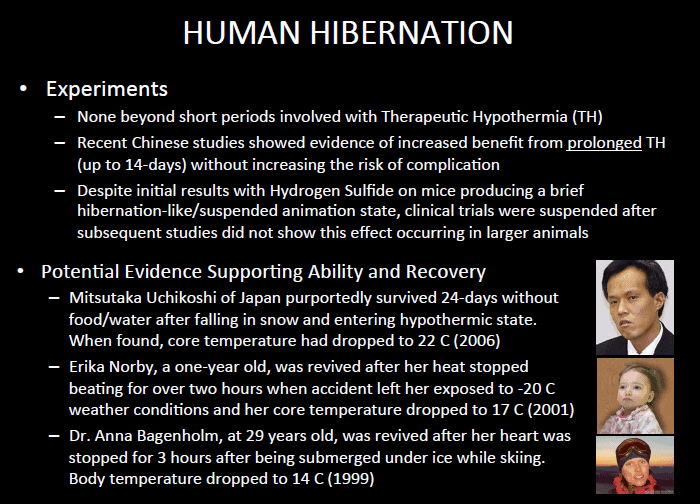 Torpor would be induced by an assisted hypothermic state in which the body is gradually cooled, all while attached sensors to the astronaut’s body monitor their condition and trigger automatic safety mechanisms in case something goes wrong. “Food” would be administered intravenously through TPN — total parenteral nutrition. A catheter would be inserted to drain urine and thus handle all the generated waste, since bowel is virtually rendered inactive because there’s only liquid nutrition. Waking up out of cryogenic sleep after 6 months of slumber might sound like the worst hangover in the universe, so electromagnetic muscle stimulation would keep away muscle atrophy. SpaceWorks envision their module, however, to work for 14 days periods. After this time, the crew would wake up, resume activities on the spaceship and switch places with whomever was on guard before. This way, the quantity of life support cargo required for a long distance voyage through space – say a manned mission to Mars – would be considerably reduced by at least one order of magnitude, maybe two. SpaceWorks says a spaceship with torpor capabilities would weigh 19.8 tons, or half as much as the reference shuttle considered for their study. There’s so much that needs to be done before torpor space travel can happen, though. Are there any long-term health issues that might arise from the hypothermic state? Can this procedure be accelerated? What are the protocols for emergency warming/cooling? Yes, torpor space travel might be years away, but it’s comforting to hear there’s actually research and energy being invested into the matter, for otherwise there’s little hope man might ever leave the solar system.